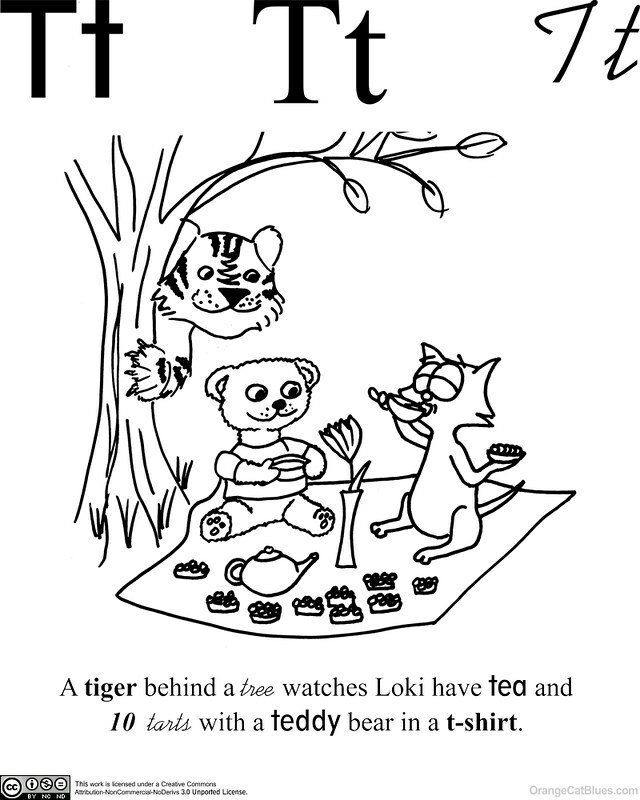 A tiger behind a tree watches Loki have tea and 10 tarts with a teddy bear in a t-shirt. Sans serif (hand printing), serif (book type) and script represented. Hi, there! I teach my son at home and thought it might be nice to share my materials, starting with phonics coloring pages. License: Free for personal and homeschool use. Just don’t put them on tees or sell them or turn them into a poster or coloring book. But it’s cool to have your kids color them and blog about it even if your blog makes money. Things you need to know, or maybe you don’t: I teach Eatoin Shrdlu according to a general guide of the most frequently used letters in American English, not alphabetically. 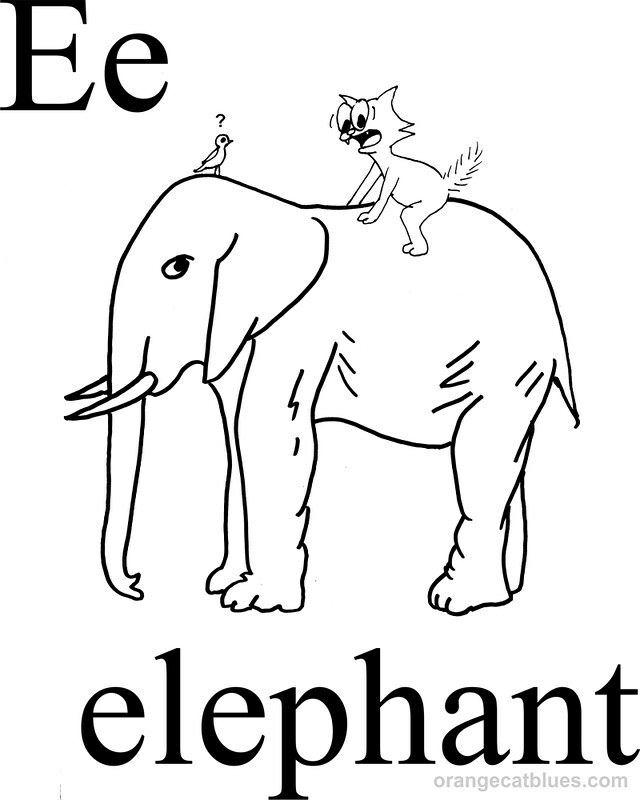 I also use both single- and double-story letters and script, and do separate illustrations for different phonemes. The phonics coloring pages are a supplement to pointing out letters in books and making them in Lego or pancake batter. My son’s too young to write so I haven’t designed any letter-tracing pictures yet. For spoken vocabulary and semantics I rely on Whole Language: we’re about two-hundred pages into “Frodo Book!” (The Lord of the Rings) right now, and I have him read his picture books to me (just based on the pictures, of course), because this is the approach that suits his personality. However you want to mix these coloring pages into whatever you’re doing is fine with me. I’m not one of those moms who is going to tell you you’re doing it wrong. They’re not my best work, but I can’t get too detailed on coloring book pages or they’re no fun to color! They’re formatted to 8×10 so you can print on art paper or regular printer paper. Right-click to save or print, or left-click to go to Flickr for a larger download.